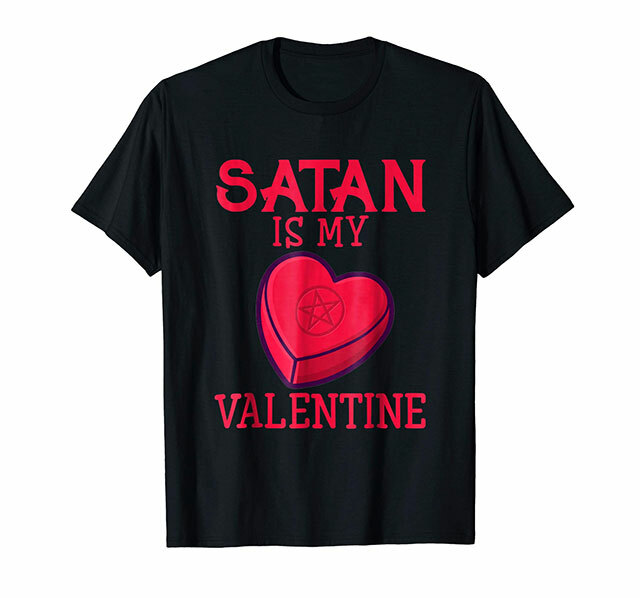 Who says romance isn’t dead? 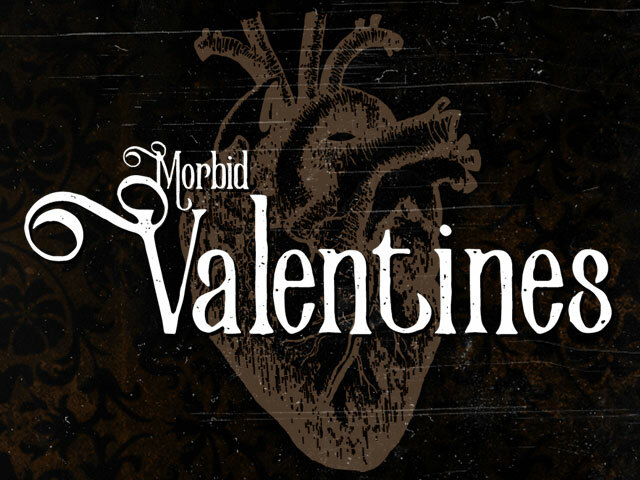 This Valentine’s Day, conjure something from beyond the veil for that special someone who has your heart…in a jar. 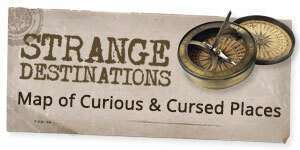 NOTE: These items may be extremely limited in quantity or one-offs and may not be available long. 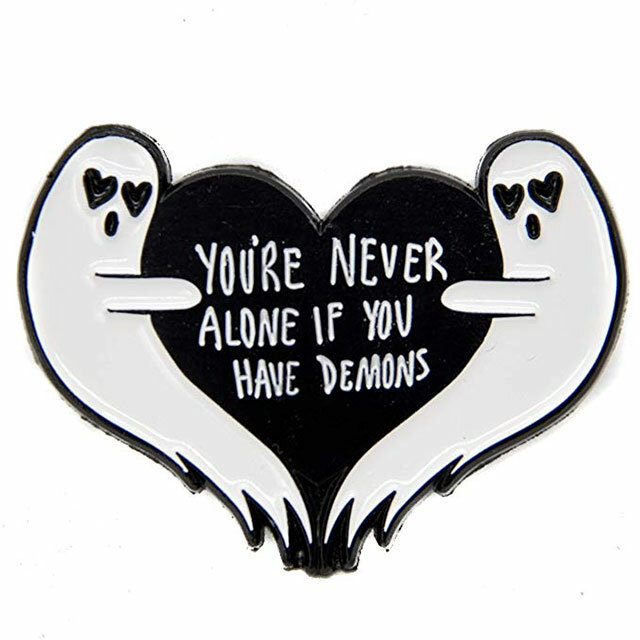 You’re never alone if you have demons. 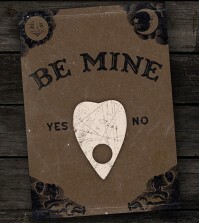 Enamel pin by Ectogasm. 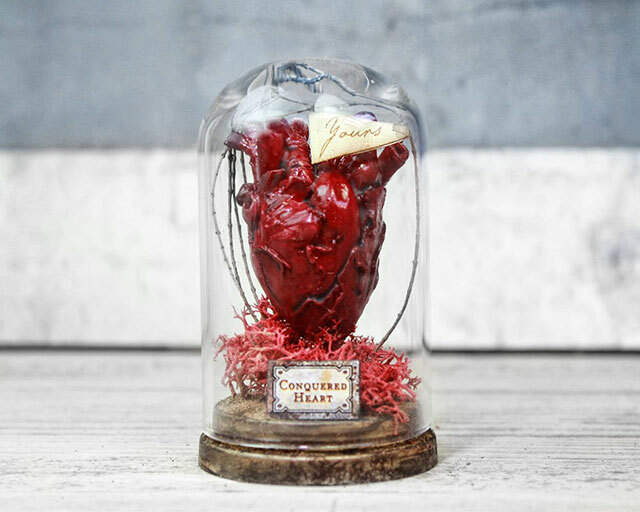 A miniature resin anatomical “Conquered Heart” in a bell jar. 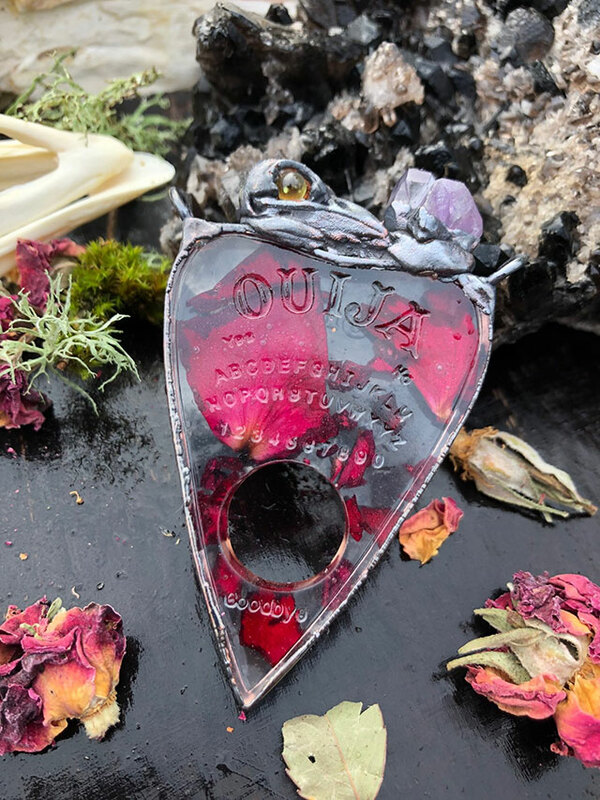 Handmade using an alchemical process called electroforming, this resin Ouija board planchette is adorned with a bird skull replica with peridot eyes and an amethyst cluster. Love from beyond the grave. 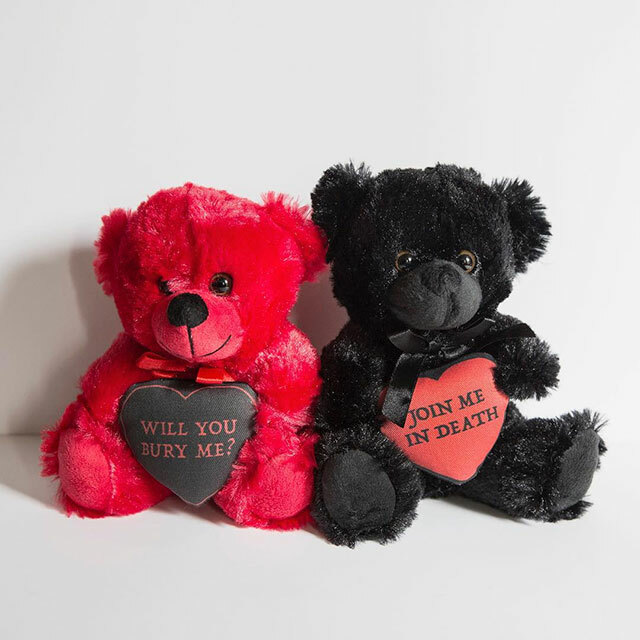 Death-positive plush Valentines bears from KMSxCo. 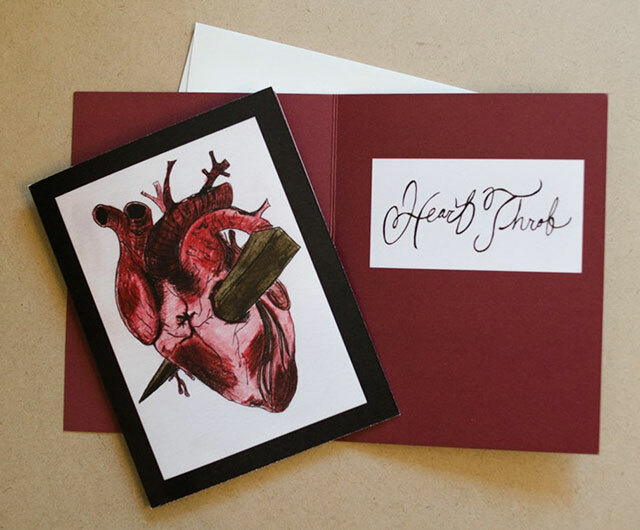 Few things are as romantic as a stake through the heart. 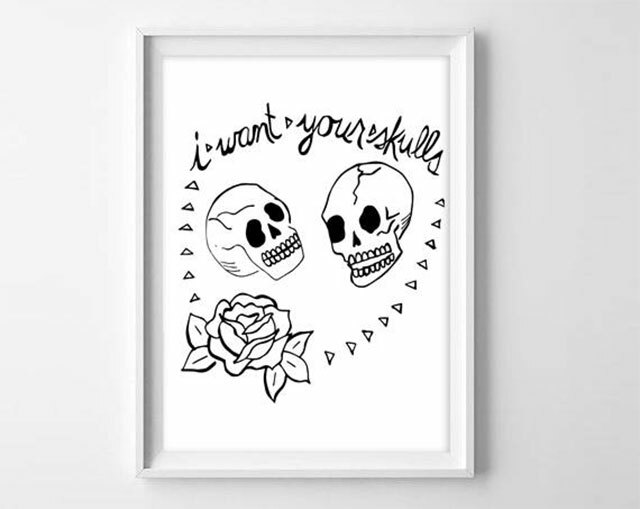 5×7 art print featuring lyrics by the Misfits. 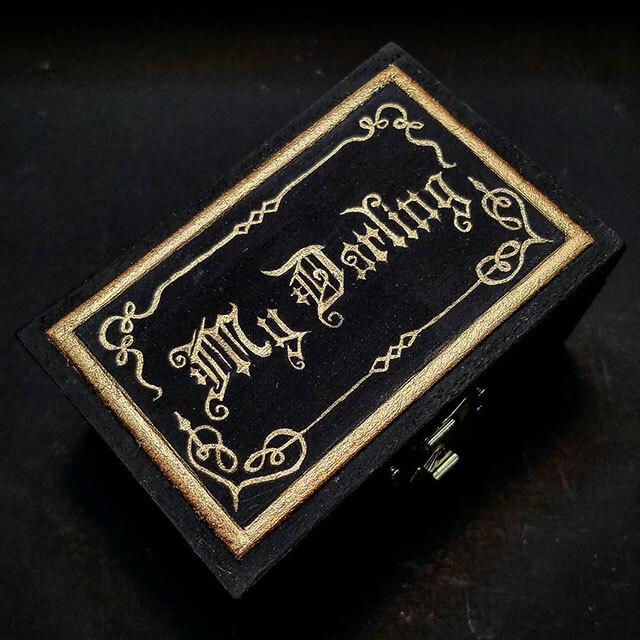 Valentine trinket box resembling a coffin plaque. Handmade by Meagan Meli. 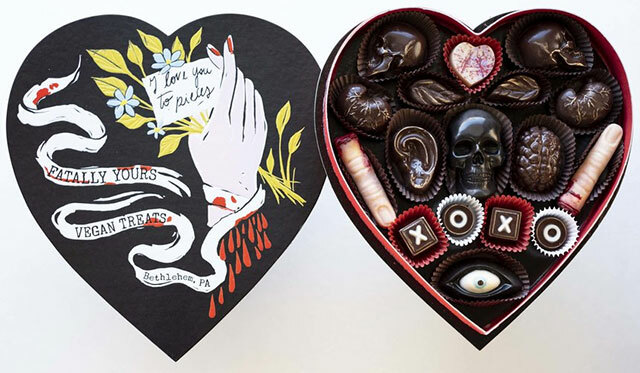 Dig up these limited edition handmade Valentines goodies from Vegan Treats. 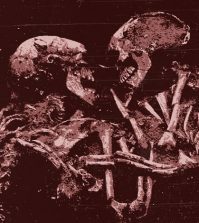 Our shriveled black hearts belong together. 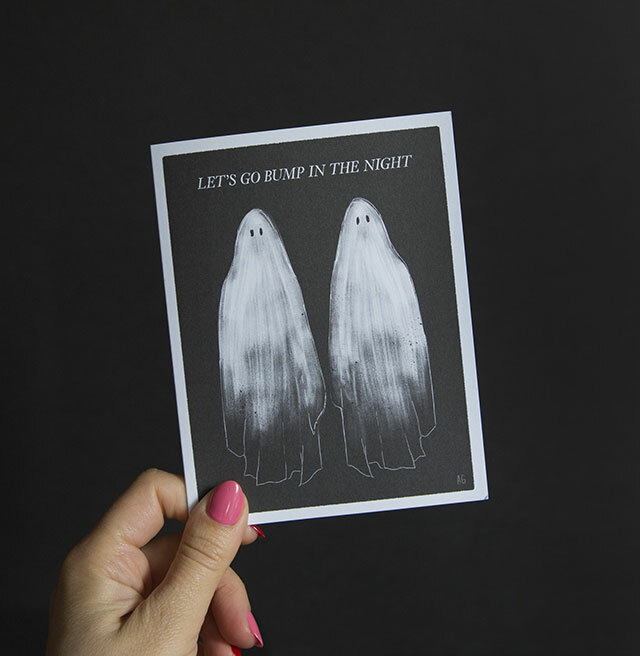 Bump in the night with that special specter with this Valentine’s Day card. 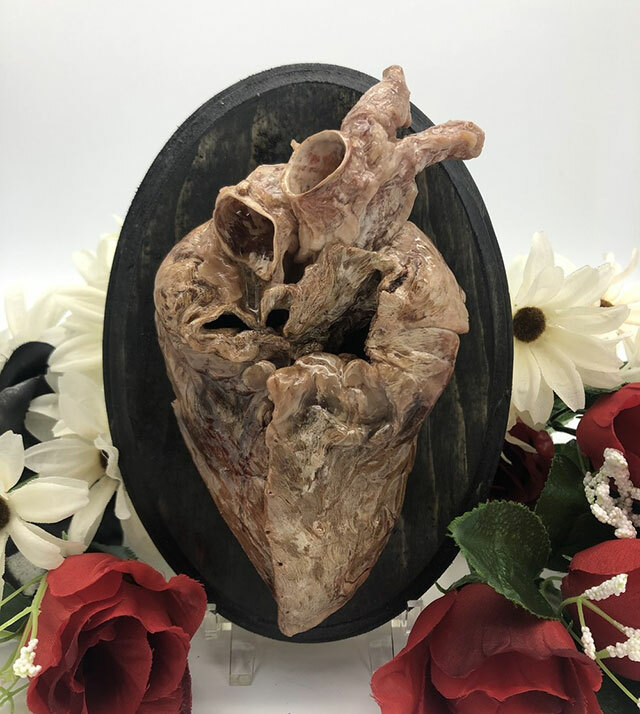 A preserved pig heart artfully dissected and preserved by ScientificWoman. 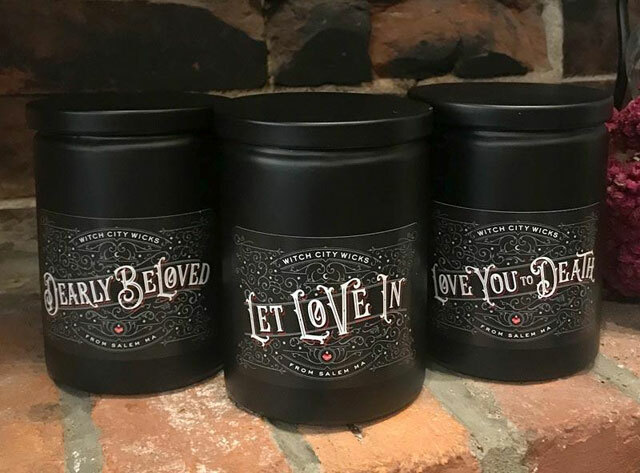 Darkly romantic Victorian-inspired Valentine candles from Witch City Wicks.